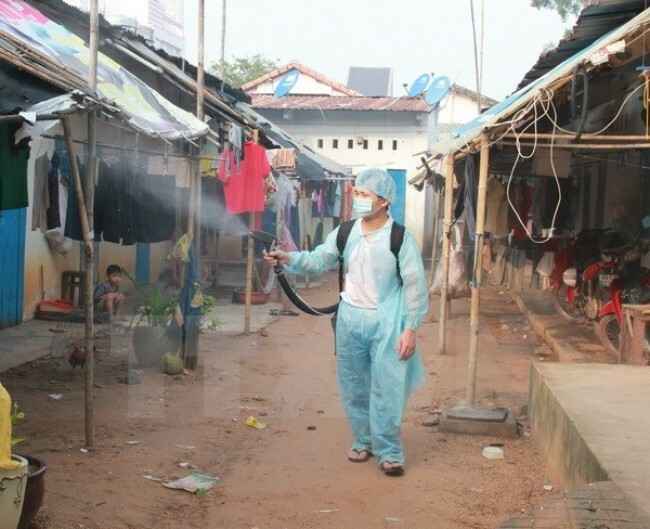 HA NOI (VNS) — The health ministry has sent 10 teams to inspect dengue prevention work in 20 cities and provinces, the Preventive Health Bureau said yesterday. The ministry said health agencies should collaborate with social and political agencies to launch mosquito and larva eradication campaigns. The local people should keep their homes clean, use appropriate waste treatment methods and clean water containers to eradicate mosquitoes. Health agencies should increase inspections, promptly detect and prepare plans to help localities with dengue fever outbreaks, spray chemicals widely in dengue-hit areas, and provide training to health workers, the ministry said.